We are so excited about developments and opportunities at The Sholing Technology College (TSTC) where, with some new members, we are preparing for the launch of our new Social Innovation Interact Club where young people across the school will be encouraged to get involved with Rotary’s Interact programme to take action in their local community and in international projects. An additional feature of this group will be to encourage the whole school to consider projects that help with Social Innovation, with the Interact Club considering how to develop the ideas into action, in partnership with Rotary Social Innovation network. It is really exciting we have three families that have now joined us through our Family Membership Offer, please help us to promote this to others as a great way to get involved with Rotary where all can get involved in the adventure, services and having a great time together. On the 2nd December we are helping at the St.Michael’s Christmas Fair in Paulsgrove, a really good opportunity to get the family involved. On the 19th November Family Teams will be welcome at our Bog Off Games helping everyone to learn about people in the world who have not got a toilet and what action we can take to help a little. Join us as a family and help develop Service Projects that can help all to learn, help design and create the communities you would like to live in. Rotary Social Innovation is about change and it is your help we need to do this, join us. 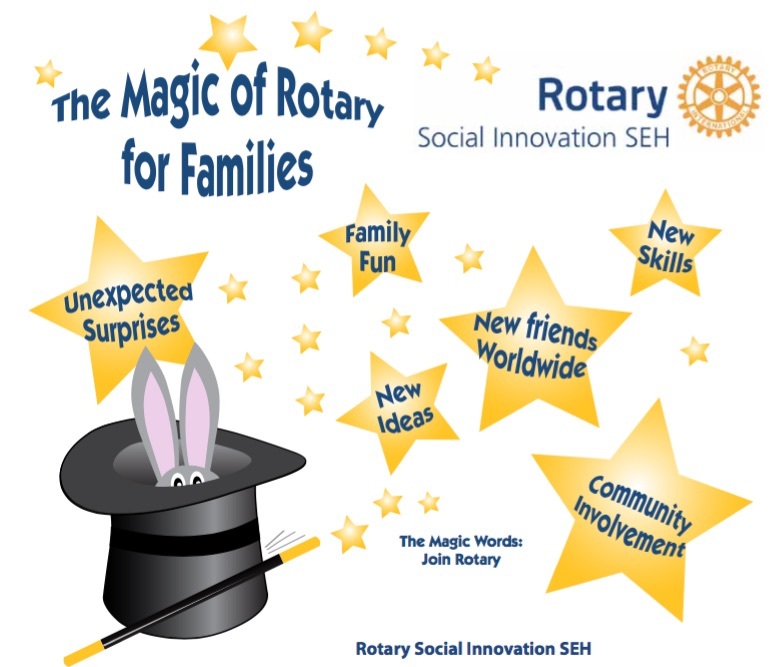 Within our new Rotary Offer our hope is to support and encourage Social Enterprise, especially in encouraging SE’s to network with the wider Rotary International family and by Rotary using their services when developing community projects. Rotary for 100 plus years has been about encouraging Networking, so we are pleased to be working with Action Hampshire to be able to do this. Action Hamphire have been supporting not-for-profit organisations for 70 years to deliver great services to local people and communities; speak up for the changes they would like to see; and shape the future of where they live and work. As part of Rotary Social Innovation we want to encourage more Social Enterprise in our communities and help spread the message about how this form of business development can bring about sustainable change.